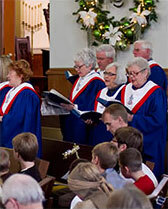 First Presbyterian Church Serving Christ in Jersey County for 184 years. 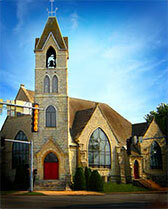 We seek to serve Jesus Christ and bear witness to the Kingdom of God from the heart of Jerseyville, Illinois. We are a church family of just over one hundred members dedicated to serving God and our neighbors with the gifts and talents God has given us. We are dedicated to deepening in our relationship with God through worship, bible study and service. Click here for Directions to find us!